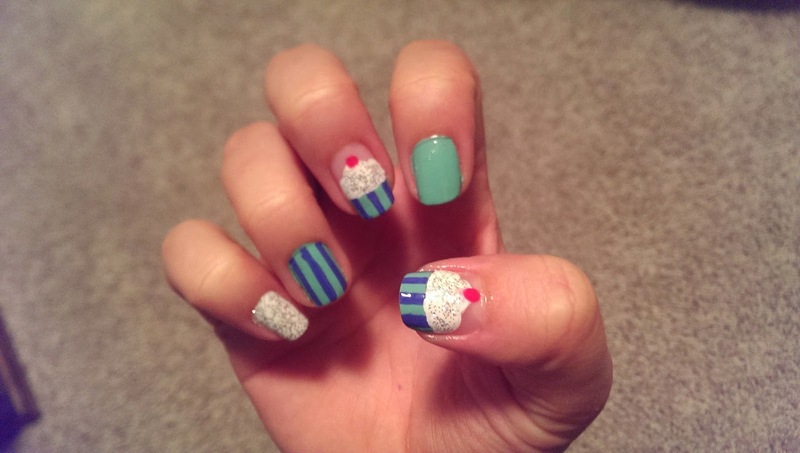 Manicure Monday (Cupcake Nail Art!) 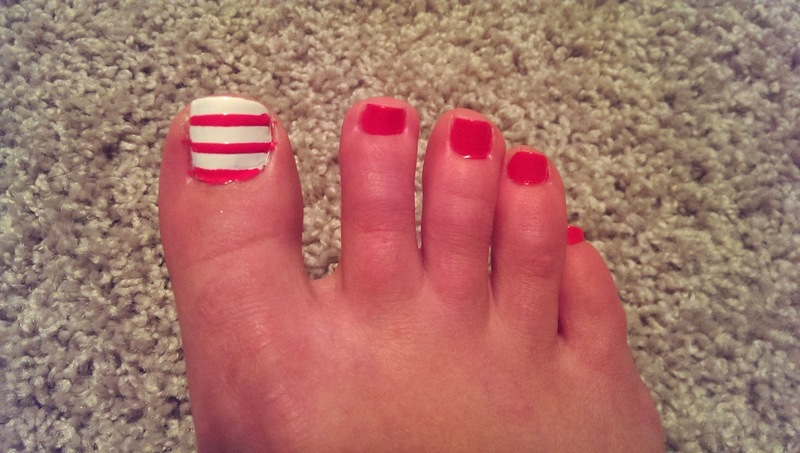 + a Monthly Pedicure (Pink Stripes and Hearts)! My inspiration this week is: CUPCAKES! For this week, I did not follow any tutorials, I just made it up as I went! ncLA "Santa Monica Shore Thing"
9. Use a dotting tool and a pink polish for a little cherry on top! 10. 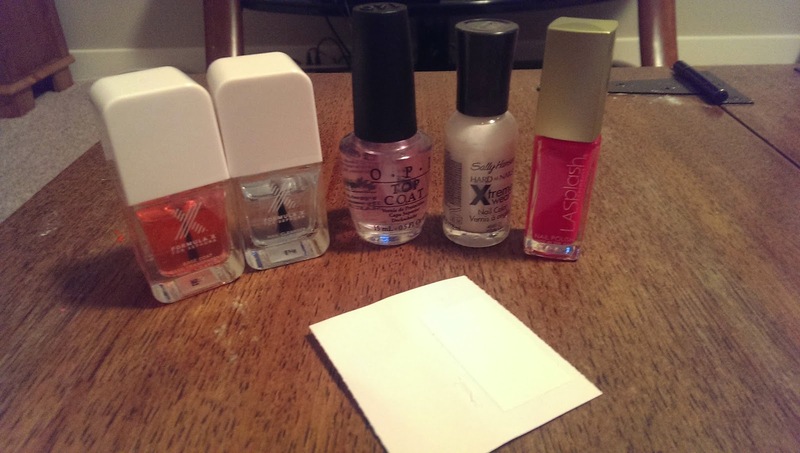 Let dry well & Top coat! 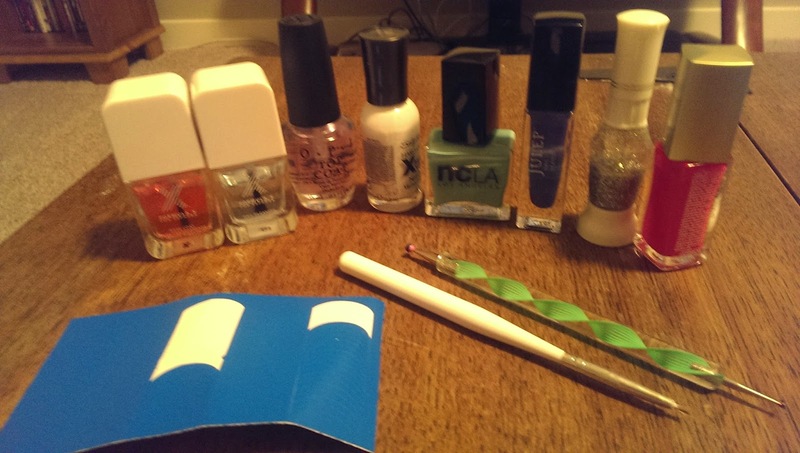 *For the other nails - I painted 1 white with silver glitter, 1 plain lighter blue & 1 striped like the cupcake bottoms! And, again here are my adorable cupcakes! 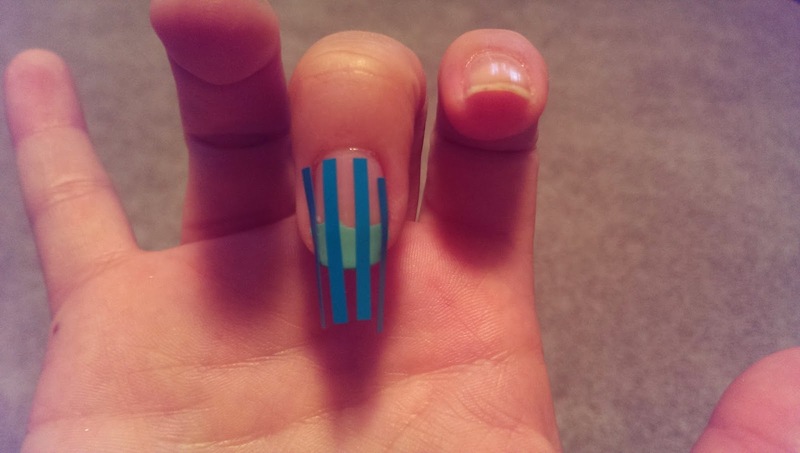 I loved this nail art - it was a little more difficult but on takes a steady hand! 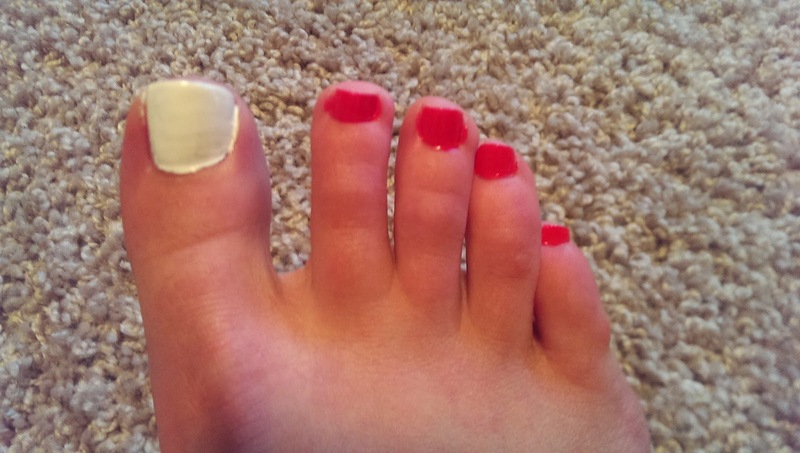 This week I also did a Monthly Pedicure. My inspiration this week is: pink and white stripes! 5. 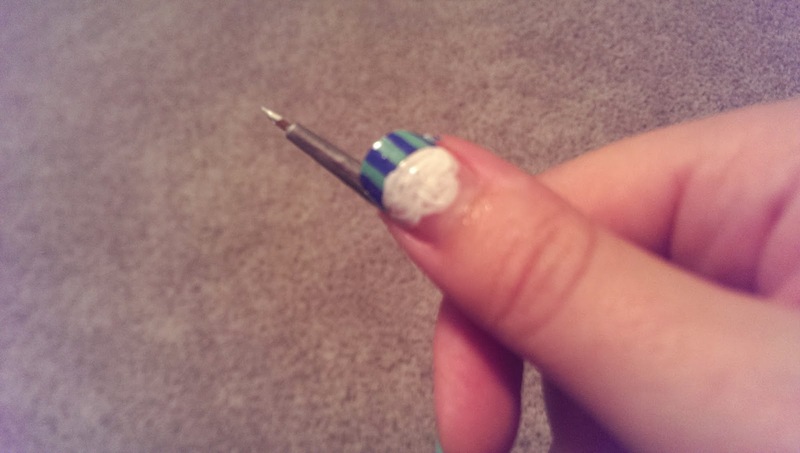 I used black nail art polish and a nail dotter to add a small heart on the toe. Use the dotter to create to dots beside each other - then use the dotter or a toothpick to pull the polish down to create the bottom of the heart. 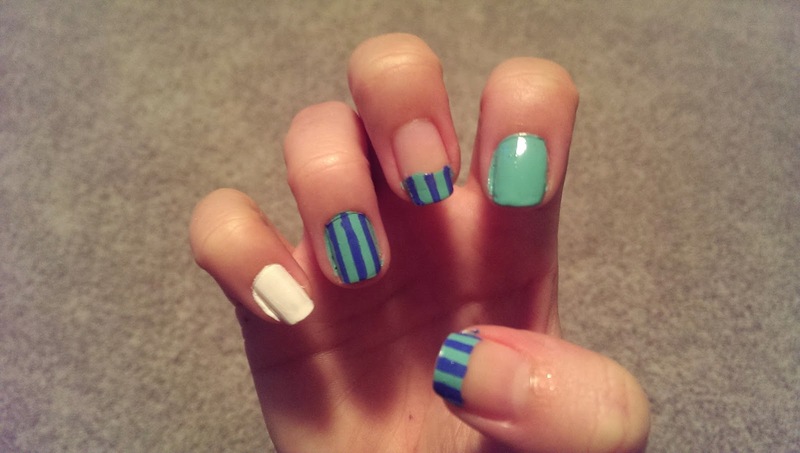 Hope you had a good Manicure Monday! Super cute! I'll have to do the cupcake one next time I bring cupcakes into work. Thanks for the idea! 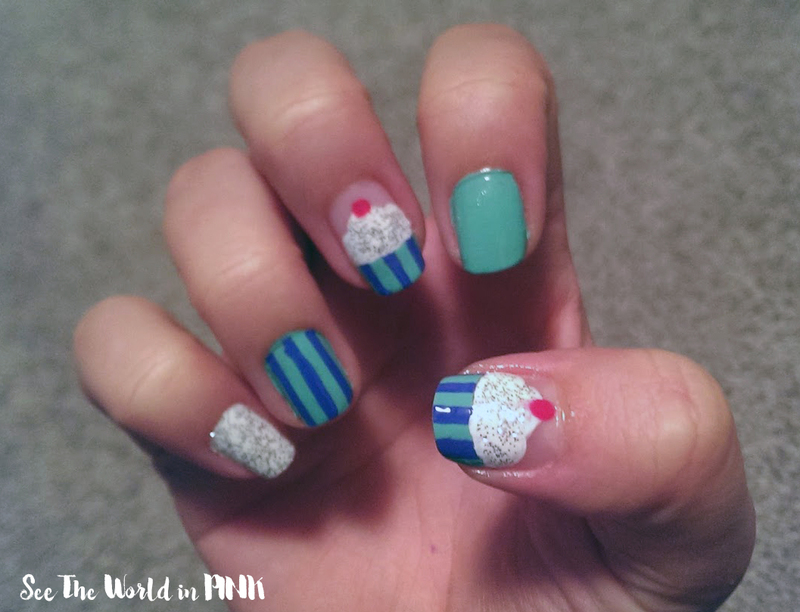 Love the cupcake nails! I've been really tempted to do something like that on mine but I'm always convinced that I will completely botch the job and it will look horrible! It's always worth a try! 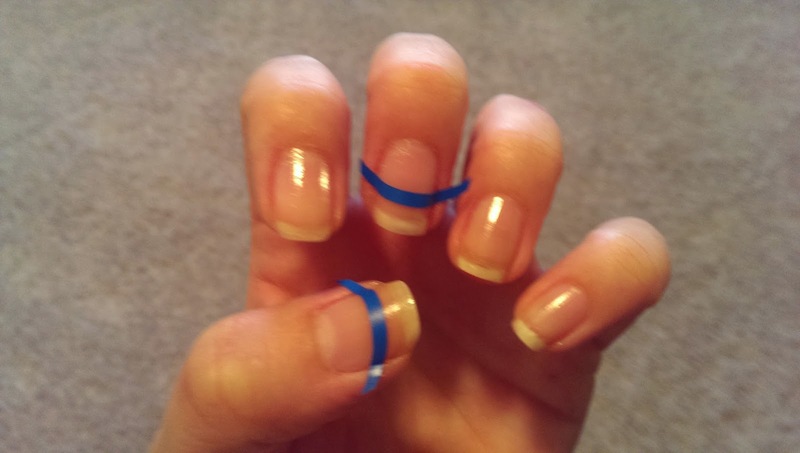 I find nail art is usually easier than it looks - start with something basic & the more often you practice the easier it gets! It doesn't need to be perfect to look good. 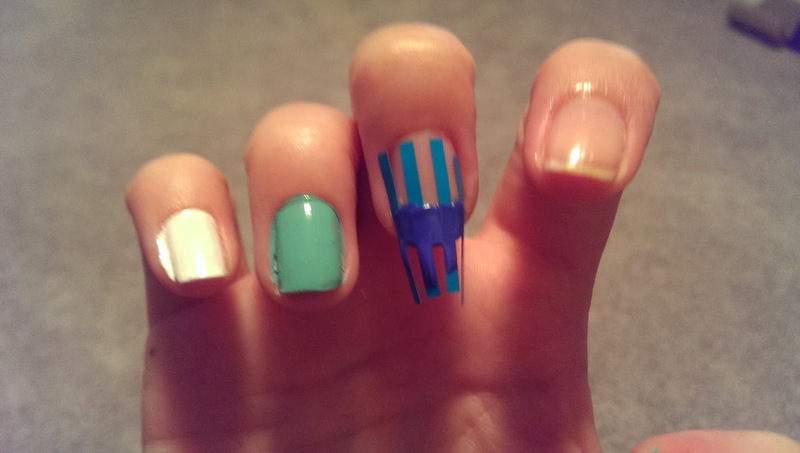 At least nail art is something that's easy to fix/get rid of. I had a pretty bad first attempt at a marble manicure! BTW, in case you haven't heard yet, Canada has a new subscription service that just started shipping to us! I did a post awhile ago about it and just this week they finally started! I had a pretty poor attempt recently too trying water marbling! It wasn't pretty - but I am going to keep trying and get the hang of it eventually! Thank you for letting me know about Fabletics - I saw their announcement yesterday via Facebook and jumped all over it! Did you order? I signed up - 50% off your first outfit is amazing!! Just realized I never responded! I'm going to try again too, this time I won't wont use tap water lol. I haven't ordered from Fabletics yet because I have to wait until the 24th. I might actually wait until new items are released though, the only item I love that I don't already have is the asymmetrical zip jacket. Only issue is that it only comes with green in the outfit, not a good color for me!